Some of my favorite moments at Detroit's annual Concert of Colors diversity festival seem to occur when seemingly disparate performers take the stage to create beautiful music together. The festival's final Sunday this year showcased a couple of performances that were particularly good examples of this type of musical synergy. 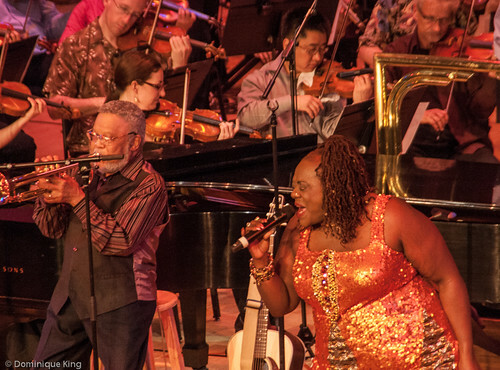 We've long been fans of Detroit Blues diva Thornetta Davis, and we've had a package of tickets for the Detroit Symphony Orchestra for several years now, so we particularly looked forward to seeing Thornetta and the DSO perform together. Conductor and violinist John McLaughlin Williams, well known for spotlighting the work of modern American composers and as the first African-American conductor to win a Grammy Award in 2007, took to the podium to preside over the program he created to spotlight the artists. The show kicked off with about a half-hour of modern jazz, theater and classical tunes performed by the orchestra. This proved to be a good way to introduce a crowd that wasn't necessarily classical music fans to the DSO, and one of the best examples of why the DSO enthusiastically welcomed the Concert of Colors to its Orchestra Hall when organizers needed a new venue for the annual festival after losing their previous venue about a half dozen years ago. I remember hearing that the DSO and Orchestra Hall management told the festival organizers that they would love to host the event on one condition--that the DSO could perform at the festival! 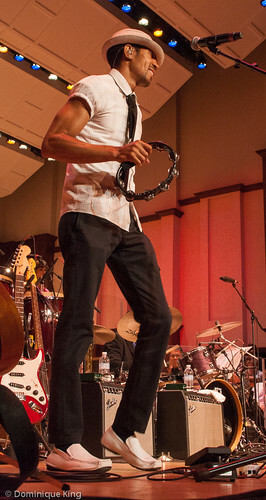 This appearance, like the symphony's appearance with Ozomatli in a Latin-hip-hop-rock flavored show last year, helped demonstrate the orchestra's versatility across multiple genres and with different artists. 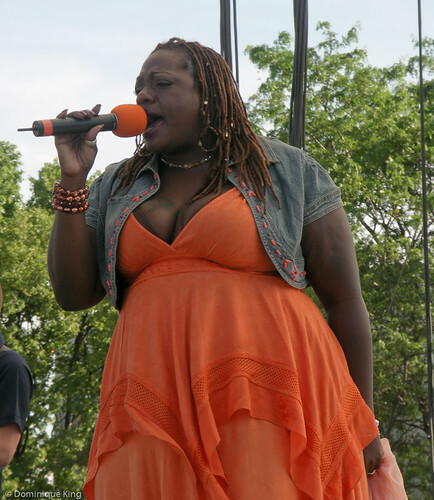 Thornetta then took the stage with her band and backup singers, starting with about 20 minutes of gospel-influenced music. Williams stepped down from the conductor's podium to accompany Davis on violin on "Sunday Morning", a song from her first solo album. I remember purchasing the album shortly after its 1996 release, but the song wasn't one I really remember hearing her perform at bar shows around town, so it was a special treat to hear the song in a live version with Williams and the orchestra. 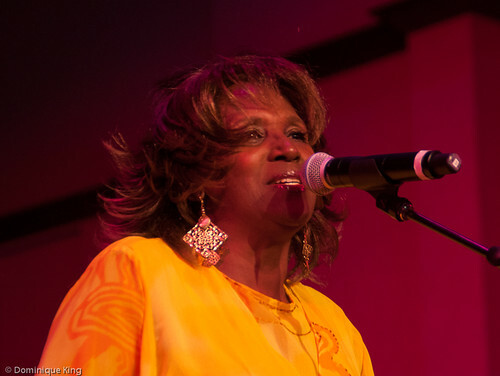 The last forty minutes of the show started as Davis sassily introduced it as her "naughty girl" music, launching into some of the blues and R&B tunes fans around town most know, love and remember hearing from her. The show ended with a rendition of what must be regarded as one of Thornetta's signature covers, a rollicking rendition of the old Jeannie Cheatham tune "Meet Me With Your Black Drawers On" with the crowd lustily joining in on the chorus refrain. We stuck around for the rest of the evening so we could catch the final show of the festival, a performance from Wayne Kramer and Melvin Davis billed as the Rock & Soul Summit. Don Was spotted Kramer and Davis greeting each other like long-lost friends at last year's Concert of Colors festival during the Don Was All-Star Revue. Was learned that the pair really were long-time friends who hadn't seen each other in many years, but who performed around town together during the 1970s as a band called Radiation. Davis began his music career as a songwriter and performer during the early 1960s. He released a series of soul songs as a singer, enjoying a bit of regional success and performing as a drummer behind acts like Smoky Robinson and the Miracles (he played on studio sessions for "Tears of a Clown") and Dennis Coffey (Davis played drums on Coffey's first solo album "Hair and Thangs" during the late 1960s). Meanwhile, Wayne Kramer became famous as co-founder of the MC5 (Motor City 5). The band subsequently gained fame for its blistering live performances and became infamous for its radical politics and the song "Kick out the Jams" with its unexpurgated opening. Kramer saw his music career interrupted when he did a prison stretch of more than two years during the mid-1970s on drug charges. He subsequently continued to perform as a musician off and on through the years and sometimes supplemented that income by working as a carpenter. Davis also continued to work as a musician through the years, but incredibly ended up working a regular post office job from 1984 until retiring from there about five years ago. 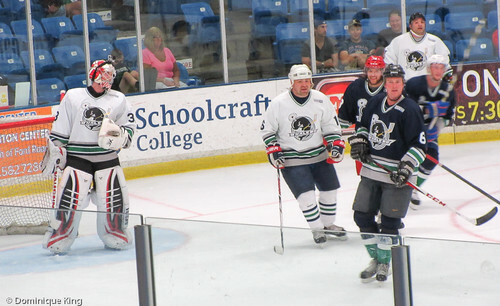 The combination of Davis and Kramer may look, at first glance, as unlikely. Kramer still embraces his left-wing political stance as an advocate and supporter of Detroit's working class on stage, while Davis has a looser stage presence and patter that encourages the audience to believe in love and dreams. Both men, though, have musical careers that cover more than five decades, and both have their own history as part of Detroit's sometimes struggling working class. Davis and Kramer proved that they still have strong musical chops and demonstrated the versatility that served them well throughout the years as they backed each other's big hits. Unexpurgated opening for "Kick out the Jams" You've been warned! The highlight of the show came when Kramer got his old friend Davis on stage behind the drum kit and told the audience that he thought it was time to "Kick out the Jams...." (If you're from the Detroit area, you know what comes next! )...and they did! Regular Midwest Guest readers know that the annual Concert of Colors diversity festival is one of my favorite summer events in Detroit. 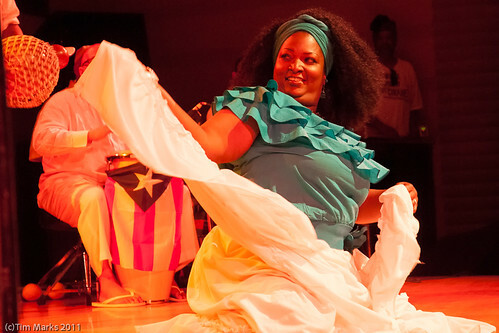 This free festival always fields an intriguing bill of world music showcased in several great venues around Detroit's Midtown cultural center near Wayne State University. 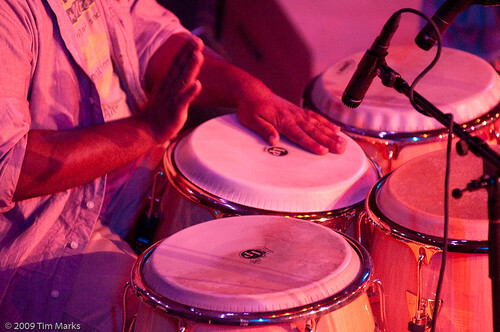 A festival preview, or "tune-up" concert, happens with Chicago AfroBeat Project and the Afro-Latin music of Ricardo Lemvo & Makina Loca at 7-11 p.m. on July 5 at the New Center Park. 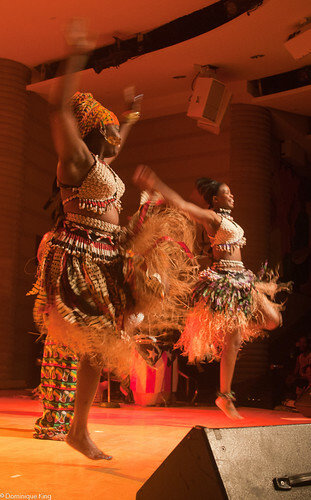 The main festival launches with performances at the Scarab Club and the Charles H. Wright Museum of African American History on Thursday, July 10. Mike Ellison returns for a performance at the Wright that night with a program of hip hop, African beats and rock. 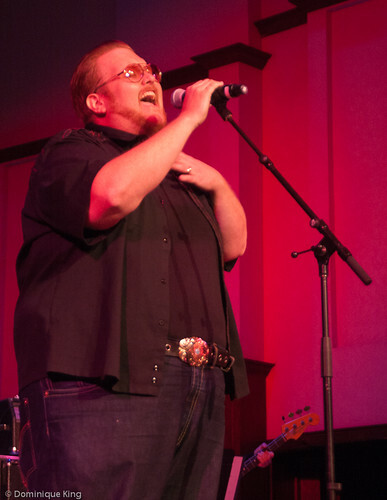 We saw Ellison at the Concert of Colors a couple of years ago when he MC'd a great show for an SRO crowd. 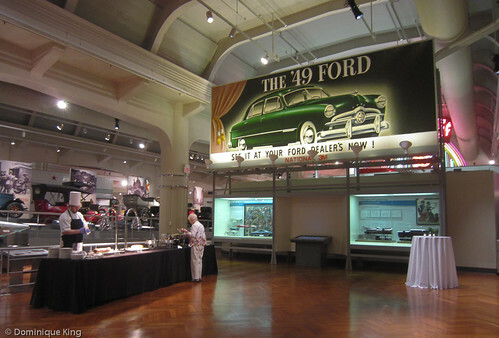 The festival action moves to the south lawn at Detroit Institute of Arts on Friday July 11. I look forward to spending the evening on the lawn, enjoying the chill vibe of the festival on a hot summer evening with Latin jazz and salsa performances by PanaMO and the "barogue avant garde" sounds of Cuddle Magic and Phyllis Chen. 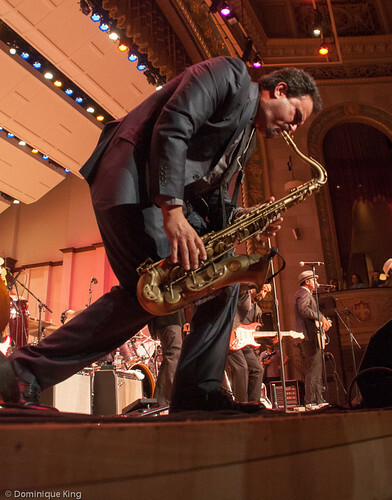 The festival moves to the Max M. Fisher Center (home of the Detroit Symphony Orchestra) for two full days of music, food and other activities on Saturday, July 12 and Sunday July 13. 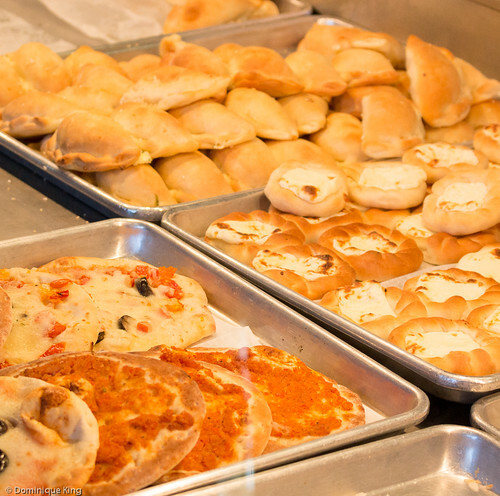 A Detroit Food Truck Rally alongside The Max is a great place to catch a bite to eat as you move among the festival's three stages to enjoy the music. The Main Stage in Orchestra Hall and the more intimate Music Box inside of the Max showcase the bigger acts. 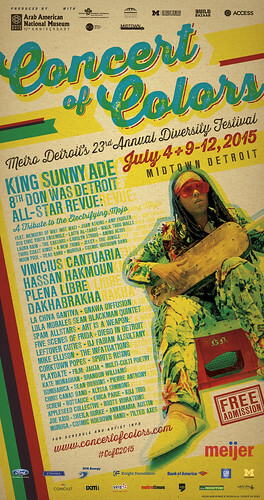 We always look forward to the Don Was Detroit All-Star Revue as uber producer Was strives to keep the revue format fresh while finding some really great new and classic Detroit talent. 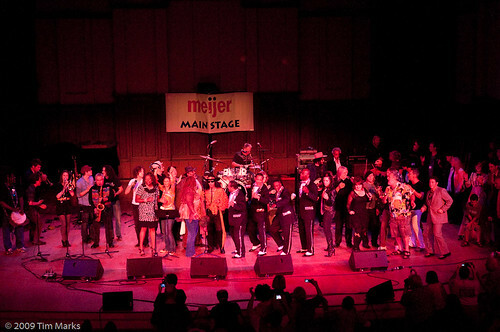 We've seen all six of the previous All-Star Revues, and this year's promises to be fun as a wide range of Detroit talent takes on the music of Detroit Legend Bob Seger by offering their versions of songs on the "Live Bullet" album from 1976 that really launched Seger, then a regional favorite, into the national consciousness. Spyder Turner, Detroit Cobras, Corktown Popes, Mayssa Karaa, Liz Larin and Doop & the Inside Outlaws are just a few of the folks on the bill for this show. Don't miss it! 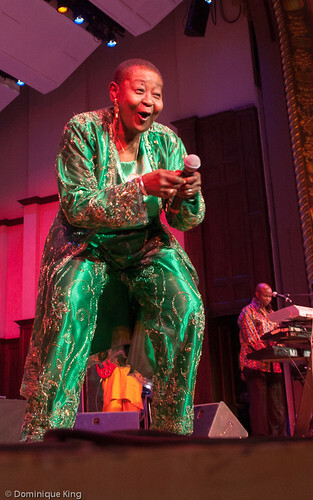 I'm also particularly jazzed about seeing Detroit Blues Queen Thornetta Davis perform with the Detroit Symphony Orchestra on Orchestra Hall's main stage (and home stage for the symphony). We have a group of season tickets to the symphony, and we've seen Davis perform several times over the years around town. I can't wait for what promises to be a great show with Davis and the symphony! 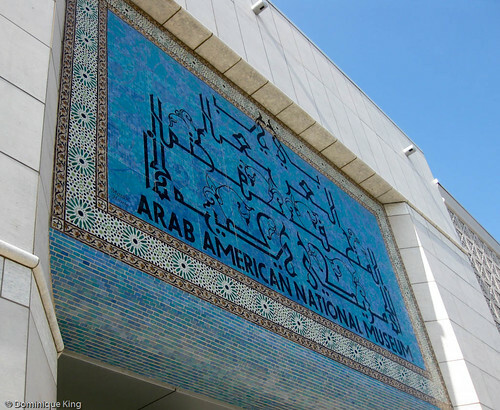 The outdoor courtyard showcases an even more eclectic bill of entertainment that includes Wisaal with Arabic/techno, blues with Royal Blackbirds, Southwest dance with the Living Arts Youth Dance Ensemble and more. Want a preview of some of the music you'll hear at the Concert of Colors? Check out the radio dial at the top of the Concert of Colors Web site. I found some great tunes from folks we've heard at the Concert of Colors in the past (October Babies, Wayne Kramer, Melvin Davis, Thornetta Davis), cool covers of classic tunes (White Rabbit by Mayssa Karaa and Papa Was a Rollin' Stone by Was Not Was) and things I haven't heard before (like Celtic/hip-hop from Black 47). Meanwhile, check out my recaps for Friday, Saturday and Sunday for last year's Concert of Colors and a story about my interview with Don Was who said, when asked about staging the festival's Detroit All-Star Revue, "It's my favorite night of the year. There's a great spirit and great music." I'm with Was. It's a great festival. Don't miss it! Detroit's annual Concert of Colors is one of my favorite summer events, not only because this multi-day music festival gathers some of the best of the city's new and veteran musicians to perform, but because it also exudes a spirit of optimism and unity that continues to reverberate throughout the year. 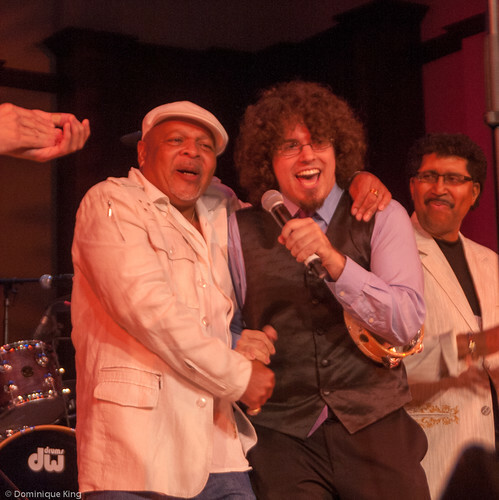 This past summer, we saw percussionist and enthusiastic impresario Drew Schultz perform with the Detroit Legends during the Detroit All-Star Revue produced by another great impresario and Detroit enthusiast, Don Was, during the fest's final night. 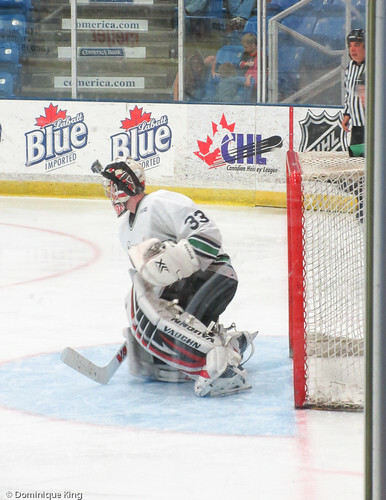 Shultz first became interested in music as a young child and his mother, who sang in a classic rock cover band near their Cleveland home, began teaching him piano. Schultz soon became fascinated with drumming and the classic music of Detroit's Motown. He began learning to play the drums and other percussion instruments while deepening his love and appreciation for classic soul music. 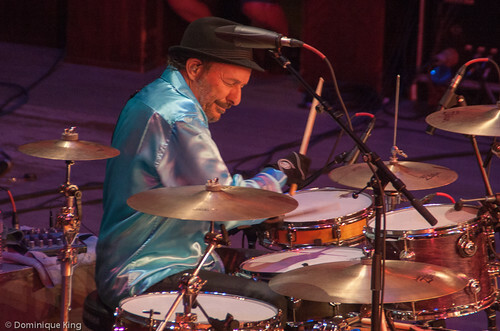 The young drummer opted to study jazz at New York University after high school, but began playing percussion with some of his Motown heroes as time permitted. 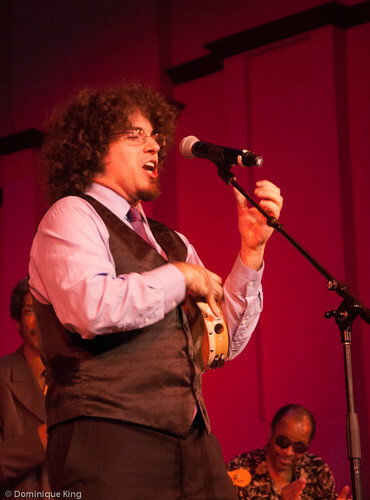 Schultz began working with Detroit's Four Tops as a percussionist, archivist and substitute conductor at the age of 19 and soon found himself working with many classic Detroit-based musicians like Aretha Franklin, the Temptations, Dennis Coffey, the Miracles and the Contours. 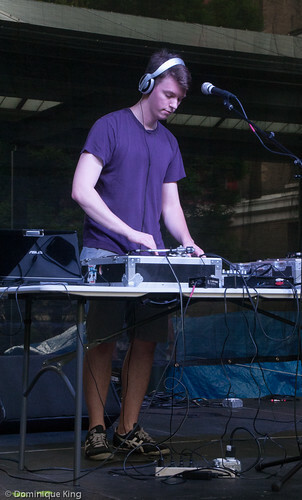 Last year, Schultz returned to finish his university degree and released his debut album, the aptly titled "Back to Class". Schultz deeply appreciated the importance of great teachers and mentors in his own musical career. He found that to be a common thread among many of the classic soul artists he encountered. The Detroit Public Schools and their teachers emerged time and time again as one of the great influences in the lives of his favorite musicians as they told him about their lives, and Schultz wanted to do something to honor his musical heroes, as well as their musical mentors. The result was his "Back to Class" album, which consists of 16 songs written by Schultz and features performances by the Four Tops, Dennis Coffey, James Jamerson Jr., Melvin Davis, Spyder Turner, Pat Lewis, Lenny Pickett and more. 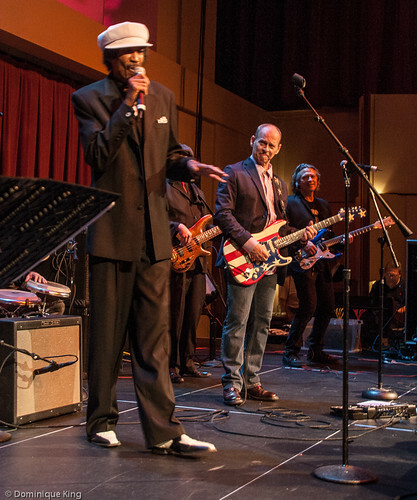 Fifty percent of the profits from the album and a follow-up single featuring Eddie Willis, the original guitarist of Motown's famed studio recording band (the Funk Brothers), go to benefit DPS music programs. We saw Schultz perform with several of those featured on the album at the Concert of Colors and I definitely felt the mutual respect and joy in performing with each other from my spot near the stage. And, in true Concert of Colors fashion, the "Back to Class" album also serves to pay-it-forward to nurture up-and-coming Detroit talent by raising much needed funds for the Detroit Public Schools musical programs. Check it out on Amazon, iTunes and Spotify or find out more about Drew and his music at dsdrums.com. 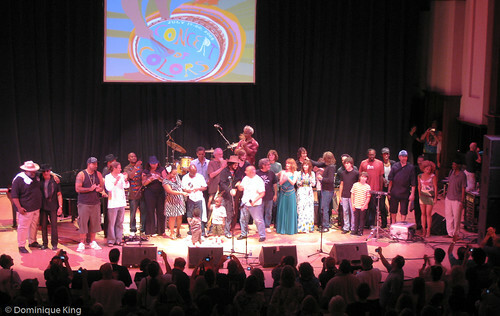 Our 2013 Concert of Colors experience drew to a close on Sunday evening (July 7) with one of my favorite events of the year, the Don Was Detroit All-Star Revue, but first, the day dawned with still more music from around the world. We again made our first stop at the festival's outdoor venue, the Wolverine/Spartan Stage in the small park next to The Max (a.k.a. the Max M. Fisher Music Center) where Tailor ("spelled like the haberdasher" the announcer assured us) Hawkins set up his equipment to do an old-school house and techno music show with vinyl records. The festival's youngest guests enjoyed a real treat as the Candy Band uncorked their happy and punk-tinged show of nursery rhymed and kid-friendly fare. Even though we don't have young children, we've seen this mom-band-with-a-twist group a few times around town and loved seeing the elementary school set singing along with the show and busting a move on the dance floor. 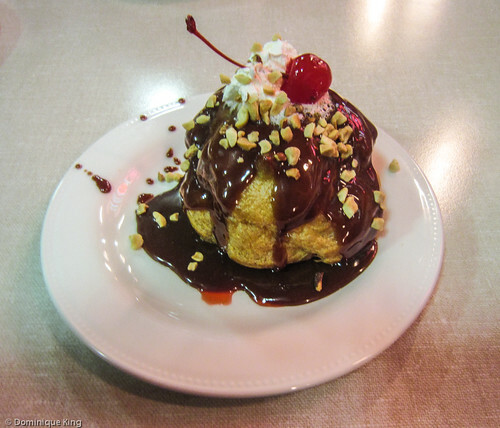 We unfortunately missed seeing our favorite Candy Band song about monkeys at the zoo this time around, though. 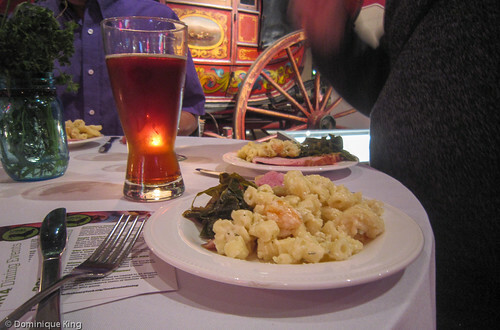 The Concert of Colors established their home at the home of the Detroit Symphony Orchestra at the Max a few years ago when they lost their previous venue at Chene Park on the Detroit River, and part of the deal was to let the DSO be part of the festival's world music menu. 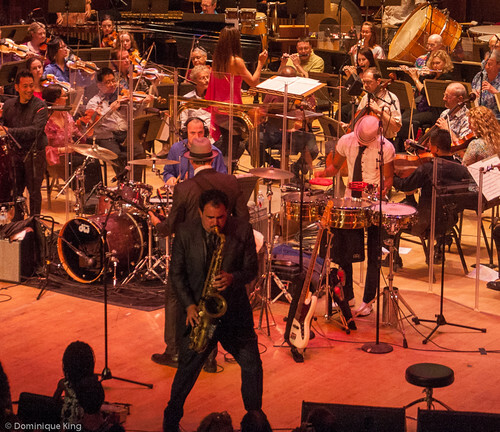 This year, the DSO backed Ozomatli, lending a classical flavor to the band's Latin-hip-hop-rock show. It was difficult to see the orchestra behind the band from our original main-floor vantage point near the stage, but it was especially fun and interesting to view the interplay of the venerable orchestra and Ozomatli from the venue's mezzanine section (the location of the dress circle seats during regular symphony shows.). 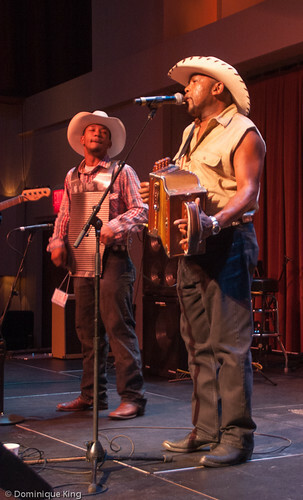 We managed to catch part of the zydeco set by Jeffery Broussard and The Creole Cowboys at the diversity stage next where the white-hat wearing good guys ripped through an energetic set of tunes featuring classic zydeco instruments like accordions and washboards. Next, it was back to the Main Stage to check out a bit of the Universal Xpression show featuring a joyful performance by reggae legend Calypso Rose. 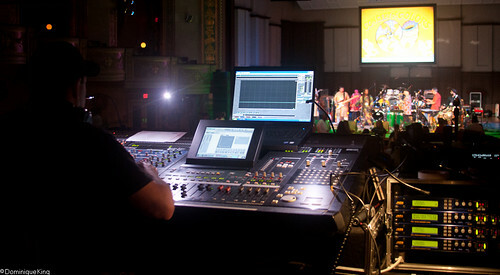 The Main Stage was set for the Detroit All-Star Revue featuring an aural tour of some of the best new and classic voices in the Motor City music scene. I'd heard a lot about Detroit's Mosaic Youth Theater Singers, but I'd never seen these talented performers before, so it was a real treat to see them kick off the revue with a big song-and-dance number. Drew Schultz and Detroit Legends was another act that spoke to encouraging young musical talent by spotlighting a new release called "Back to Class", a project that young percussionist Schultz conceived to honor classic Detroit talent and nurture up-and-coming Detroit talent. Schultz learned a lot about music and life by performing with some of the great Detroit soul talent as a very young man. 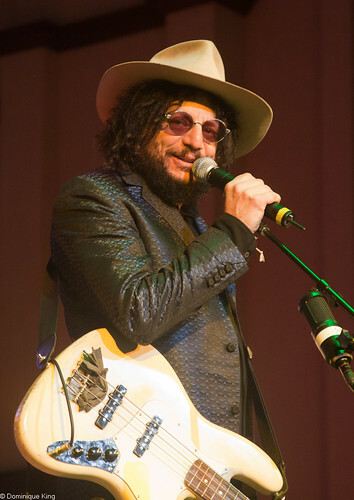 He realized many of Detroit's music legends came through the Detroit Public Schools, and his debut record features many of them performing songs written, arranged and produced by Schultz as a benefit for the music programs in the Detroit Public Schools. 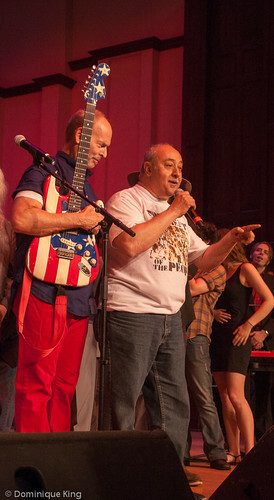 Several of Shultz' special guests appeared with him on stage. 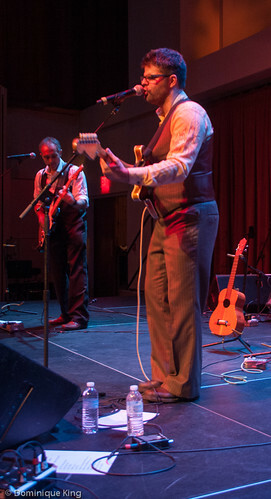 Other local favorites filling the Revue bill included the Howling Diablos, the classically bluesy Rev. Robert and Sister Bernice Jones, The Hounds Below, the HandGrenades, rap duo Passalacqua, Horse Cave Trio, Jeecy and the Jungle, guitar virtuosos Emanuel Young and Howard Glazer, Katie Grace, the soulful stylings of Pat Lewis and the powerful voice of Ty Stone. 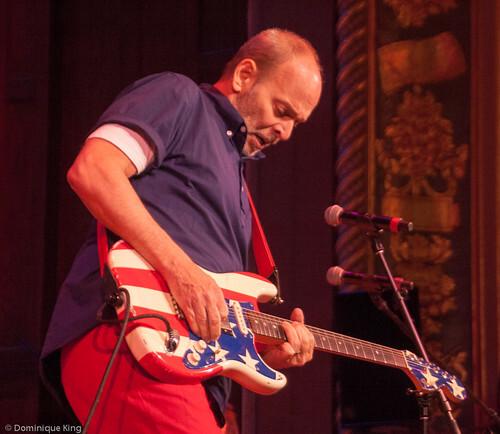 Wayne Kramer of Detroit's legendary MC5 performed a rip-your-head-off version of his classic (and unexpurgated) "Kick Out the Jams" to close the show, leaving everyone defiantly optimistic about the Detroit music scene and appreciative of its wonderful rich history. Concert of Colors founder Ismael Ahmed took the stage one last time to remind the audience about the festival's main message: We're all brothers and sisters unified by the music and that we should all take care of each other, which was the perfect note on which to conclude the concert experience for us. Want to check out some of the music we heard for yourself? 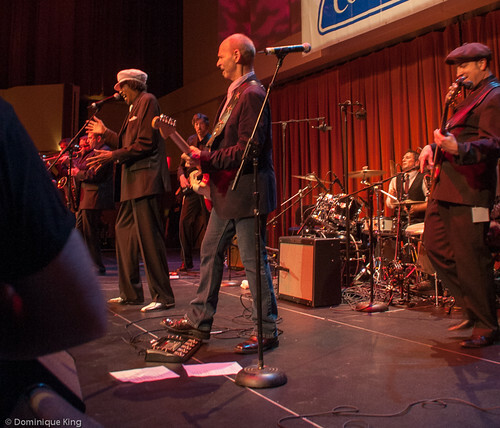 Here are some Amazon links for music from the Candy Band, Ozomatli, the Detroit Symphony Orchestra, Jeffery Broussard and The Creole Cowboys, Calypso Rose, Drew Schultz, Spyder Turner, The Hounds Below, Horse Cave Trio, the Howling Diablos, Jeecy and the Jungle, Emanuel Young, Howard Glazer, Katie Grace, Pat Lewis, Ty Stone and Wayne Kramer. 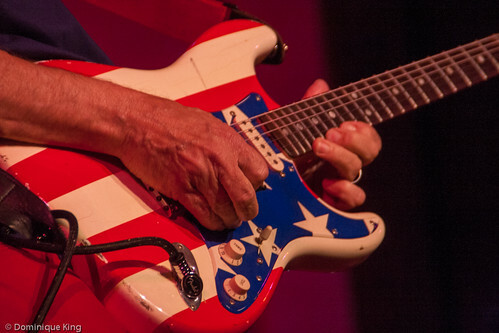 I found that you can even get your own Fender Wayne Kramer Signature electric guitar with the Stars-and-Stripes design on it at Amazon! We kicked off our 2013 Concert of Colors experience with some great performances at the Detroit Institute of Arts on Friday and followed the festival action as it moved to the home of the Detroit Symphony Orchestra (Orchestra Hall, or more simply, The Max) on Saturday. We make it a point to see as many shows as we can each day and here are some highlights of Saturday's Concert of Colors bill. 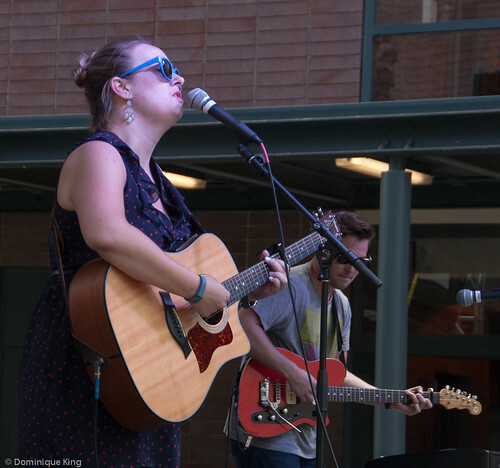 Our first stop on Saturday was at the outdoor stage as the Detroit School of Arts Vision Male Ensemble finished their set and Kate Monaghan took to the stage with a set of blues-influenced music. The great thing about this stage was the eclectic bill of music fare served up during the weekend, but the weather wasn't as cooperative as both Saturday and Sunday wore on, raining out some of the later acts each day. 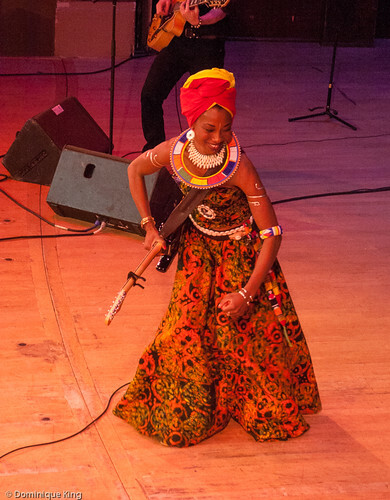 Next we checked out the festival's Main Stage where Malian artist Fatoumata Diawara performed a set of wassoulou, a West African musical style that blends traditional and modern influences into a genre believed by many music scholars to be one of the origins of American blues. 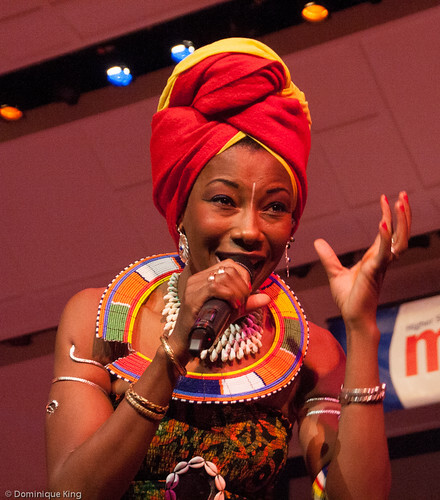 Wassoulou usually features a strong female performance and an expressive style like Diawara's, who gave life to the music its history. 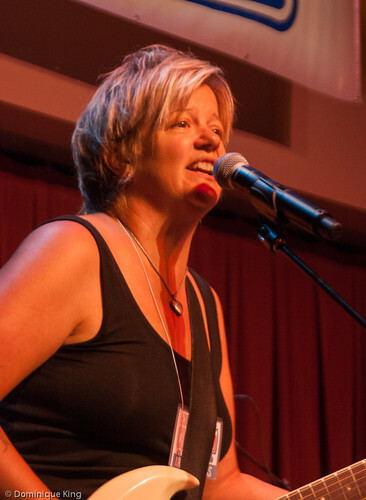 The other inside performance space, the Diversity Stage, hosted a performance by Celtic artist Cathie Ryan Saturday afternoon. 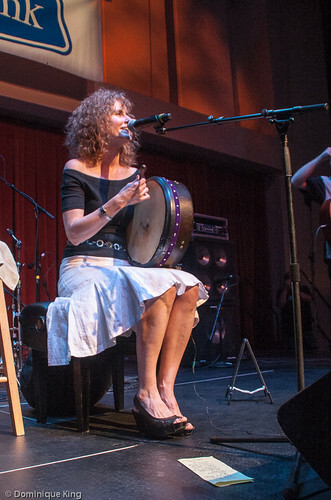 Ryan, who grew up in the Detroit area, reminisced about her first exposure to Celtic music at the city's Gaelic League as her family and friends joined the crowd to hear her set. Celtic fans may best remember Ryan as a member of Cherish the Ladies, an all-female Irish-American musical group. Ryan emerged as a solo artist in the mid-1990s and now tours with a band that includes musicians like Patsy O'Brien and Matt Mancuso who accompanied her at the Concert of Colors. 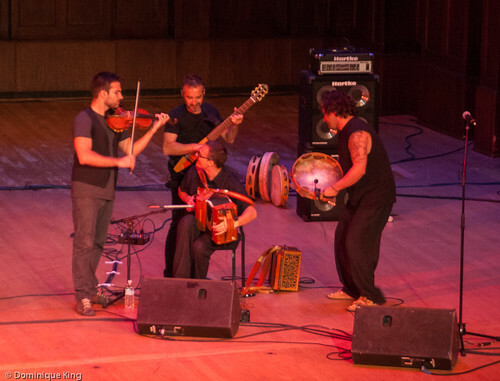 We went back to the Main Stage to check out Canzoniere Grecanico Salentino, a group who reportedly wowed audiences earlier this year during a Global Fridays performance at the Arab American National Museum in Dearborn, Michigan. 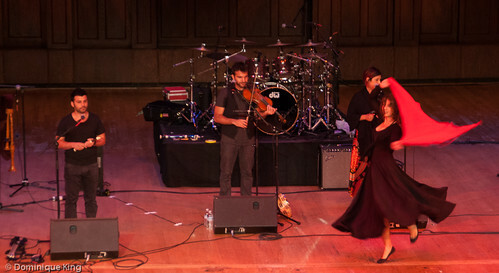 The seven-member band and a dancer honor and re-invent the traditions of Southern Italy's Pizzica folk music and dance with their performances, and I especially loved seeing the wide variety of traditional instruments they played during this show. Funk fans showed up in force for the night's headliner on the Main Stage, The Family Stone. 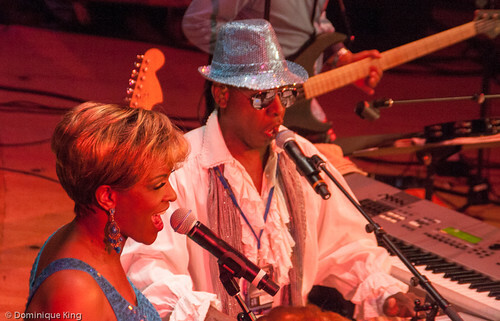 The band's current line-up includes three original members of the original Sly and the Family Stone band and performed a blistering set that featured many of the original band's best-loved and most well known songs from their 1960s and 1970s heyday as the crowd roared and sang along with every word. We capped the evening by returning to the Diversity Stage by checking out the funk-flavored calypso of Kobo Town, a band headed by Trinidad-born and Toronto-based musician Drew Gonsalves. Kobo Town takes its name from an historic neighborhood in Port-of-Spain known as the birthplace of calypso music. It was a great day of music for us, and best of all, we still had another day to anticipate and enjoy! Check back for my next Concert of Colors recap, which will cover the festival's final day of performances. Want to check out some of the music we heard for yourself? Here are some Amazon links for music from Kate Monaghan, Fatoumata Diawara, Cathie Ryan, Canzoniere Grecanico Salentino, The Family Stone and Kobo Town.